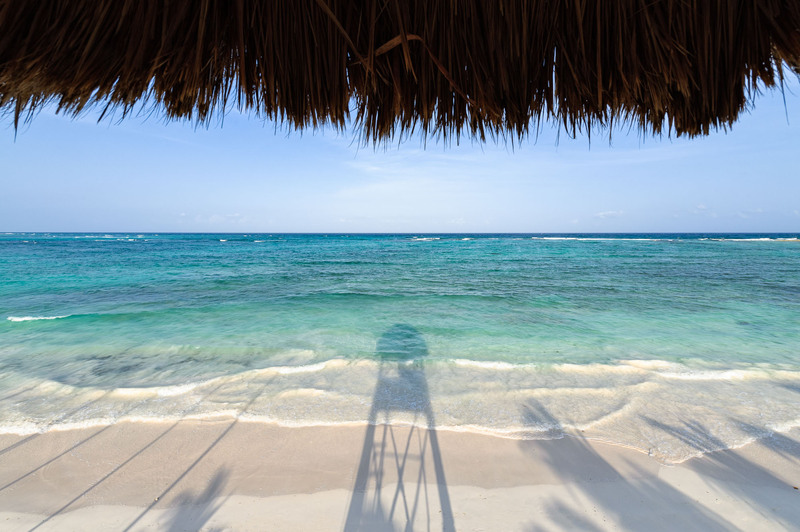 Lifeguard Tower Shadow on Tropical Beach. White sandy beach with waves lapping on shore in Carribean. Caribbean Sea, Riviera Maya, Mexico.